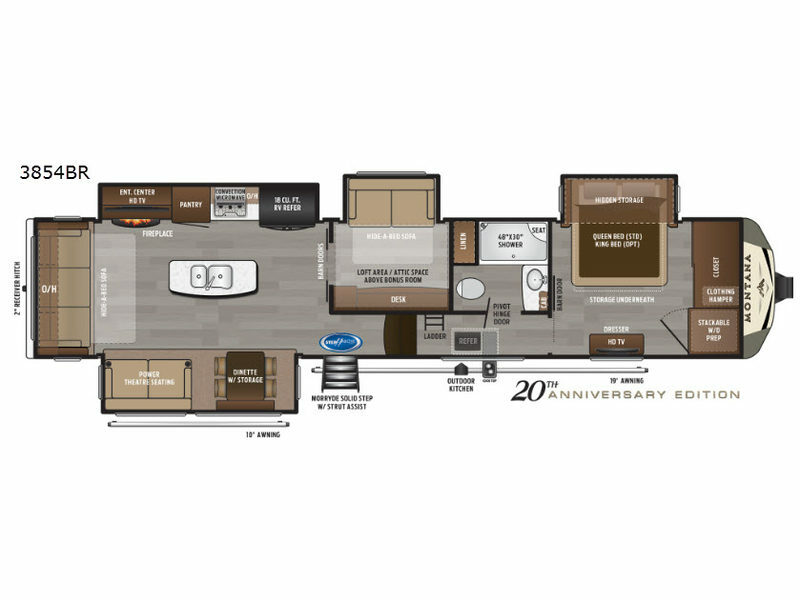 Full-timers love this fifth wheel including the new 20th anniversary edition enhancements! 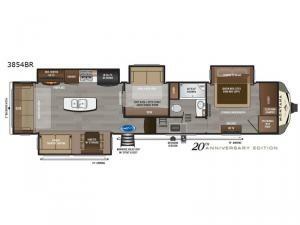 From the bonus room offering a hide-a-bed sofa and a desk which is quiet handy if you telecommute or your kids have homework, to the loft area offering storage and sleeping space, this Montana has it all for a couple or a family. Just imagine exploring outdoors to return to your own full kitchen including an RV refrigerator, large pantry and a kitchen island. The convection microwave comes in handy as well. You can relax on the furniture, and dine at free standing dinette while watching the HDTV and fireplace. The chairs can be moved to another room if needed. You might even choose to cook outdoors on the outside kitchen for several meals. This is the one!